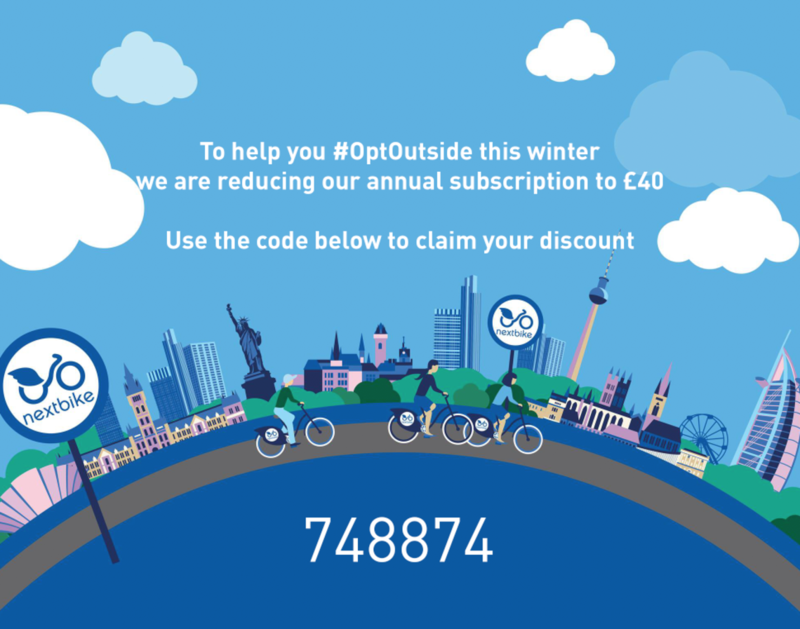 NextBike encourages its customers to #Opt Outside in 2019 - save £20 on the annual subscription until 21st March! Joining the NextBike scheme is simple and free – visit www.nextbike.co.uk, use your email address when entering your personal details, confirm your registration by clicking the link they email to you then enter your card details to activate (a £10 credit will be taken as a security deposit). Your membership applies for not only Stirling but all other NextBike locations worldwide, very handy if you’re sightseeing on holiday this year! Once you’ve subscribed you can rent a NextBike easily via the app, at one of the Nextbike terminals around the city or simply by calling the customer hotline on 020 8166 9851. To hire a bike using the app, enter the bike number and press ‘Rent Bike’ or Scan the QR code. If using the terminal, swipe your card or enter your phone number and pin number and follow instructions - you will receive a code for your bike lock. To return, simply take the bike to a docking station and press ‘Return Bike’ on the app or check for confirmation on the terminal/call the hotline. To find your nearest available bike, please check on the live map on the official Nextbike website - simply follow the related link on the right of this page.